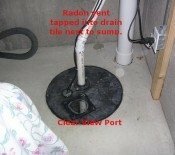 I recently purchased a home and in the preinspection, I had a professional radon test performed. The results were ~40+ pC/l. 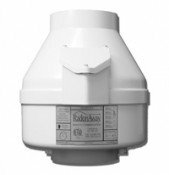 I decided that I was going to install the system and Indoor Air Health Advisor is the place to go for the parts. I knew little about radon until my test results came back and I started to research. I received some good info, advise and reassurance from the website. href="https://www.indoor-air-health-advisor.com/home-radon-test.html">radon continuous monitor and verified it was reading very close to the lab results of a mail in test. Just prior to installing and operating my system I was getting 51 pC/l. I reset the monitor and 48 hrs later I had a reading of 3.9 and dropping. I haven't even finished sealing all the cracks in my unfinished basement floor. Ultimately I completed this project at 1/3 the cost of the lowest contractor bid, not counting my time. I put about 15 hours into it overall.